NEW ARRIVAL!!! 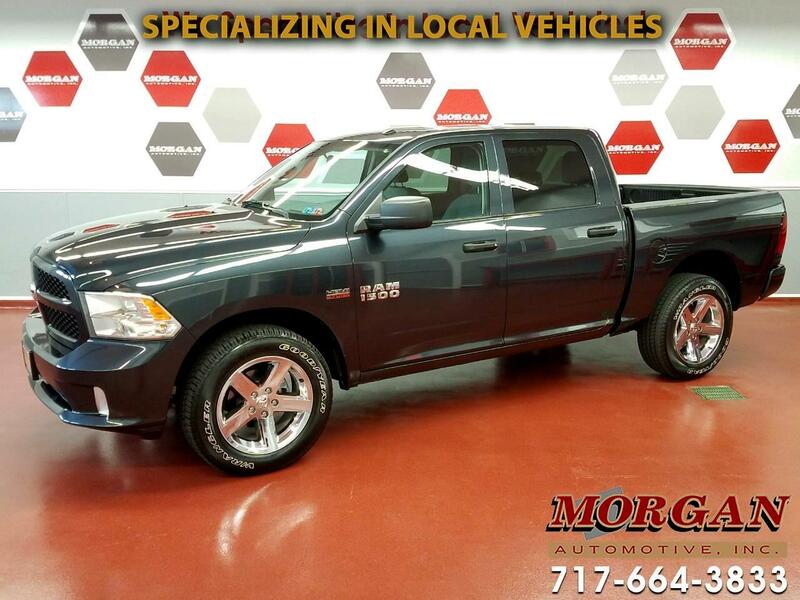 ****LIKE NEW CONDITION 2017 RAM 1500 EXPRESS CREW CAB 4X4 WITH CLEAN 1-OWNER CARFAX**** This is a great 4WD full-size truck with the 5.7L Hemi V8 engine, remote keyless entry, trailer tow package with 3.92 rear axle ratio, Class IV hitch and 4-pin and 7-pin wiring harness connectors and trailer brake controller, bed liner, fog lights and uConnect 5" infotainment console with AM/FM/XM/USB radio with Bluetooth for hands-free phone calls. Runs and drives great, has just been through our Morgan Automotive certification passing a 110 point check, fresh oil, and tires/brakes are in excellent condition. Comes with the remainder of the factory warranty with options to extend it for added piece of mind. Financing is available, if interested please contact one of our commission free sales team members.